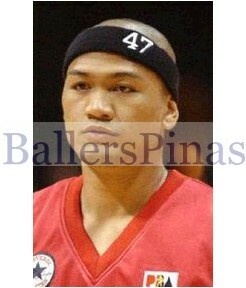 Manny Ginebra fans including me were wondering why Mark Caguioa was absent in the 2011 PBA All-Star Game in Boracay. I was informed by my friend that he has a family problem. I don't know the specific reason about his absence, but it must be so serious because I know how Mark Loves the PBA fans. He will do everything just to make them happy and well entertained whenever he's on the court playing for Ginebra. Being absent in any of the PBA's event, especially in the PBA All-Star game is not his thing because he loves his fans. Immediately, after he arrived in the Philippines last Monday, he made a letter stating why he was absent in Boracay. The primary reason is that, his father has a lump in his neck and Mark sensed that he needed to be with his family in Glendale, California. His father's ailment is a very painful thing for Mark and his family. That reason is really a valid and compelling one. I hope that everything would turn out to be fine for Mark and his family. Let's all pray for Mark's father. But before that, here's the letter of Mark Caguioa addresed to PBA Commissioner Chito Salud. to promote the interest of the PBA as a whole.